National Cat Appreciation Day? 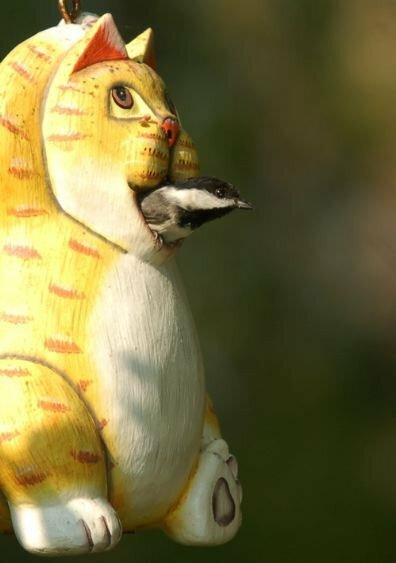 Cat Birdhouses of Course! 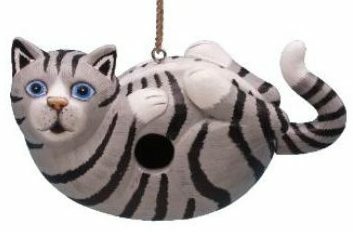 They say it’s National Cat Appreciation Day… so here’s a favorite cat birdhouse! Partial to tuxedos, he’s the most expressive and birds find him a cozy roost during the off-season. 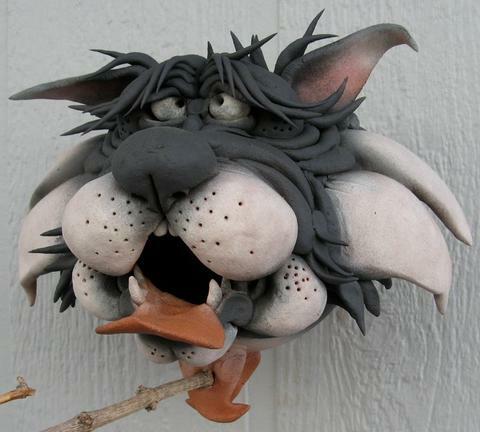 There’s tabbies in orange or grey, and a Siamese or two, plus some killer ceramic cat birdhouses which can be fashioned after your own furry friend. Yes, it’s one of the oldest arguments out there – but so easy to see both sides of the controversy if you love cats and happen to feed birds… keep your cat inside! The problem with feral populations is breeding, yet so many (bird fanatics) are opposed to the famous TNR (trap-neuter-return) strategy. They insist it doesn’t work, and the only means viable is removal (even going to extremes such as poisoning). But they’re sadly misinformed! Because simply removing cats from a feral colony creates a vacuum where more magically appear to take their place. 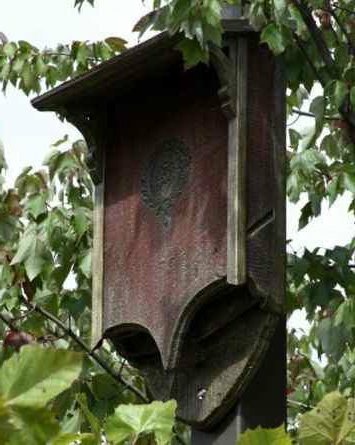 Managed colonies prevent breeding, and cats are for the most part well-kept, with provisions of food and shelter. After all and as always, humans are undoubtedly responsible for the messy situation to begin with. That’s all we’ll say here, and thankfully comments are closed because the heated debate will linger forever with some very nasty remarks from both sides… seen it before! 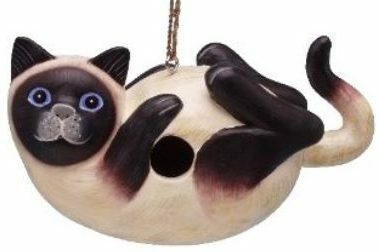 Oh yeah… those cat birdhouses; what better gift for the crazy cat lady in all of us? Say What? This Tube Feeder is Bear Proof? 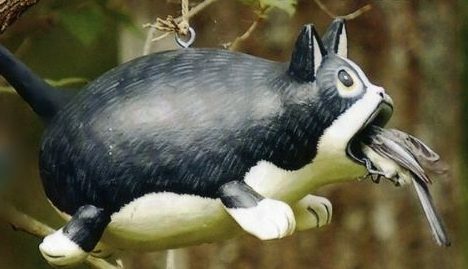 Could it actually be… a bear-proof bird feeder? 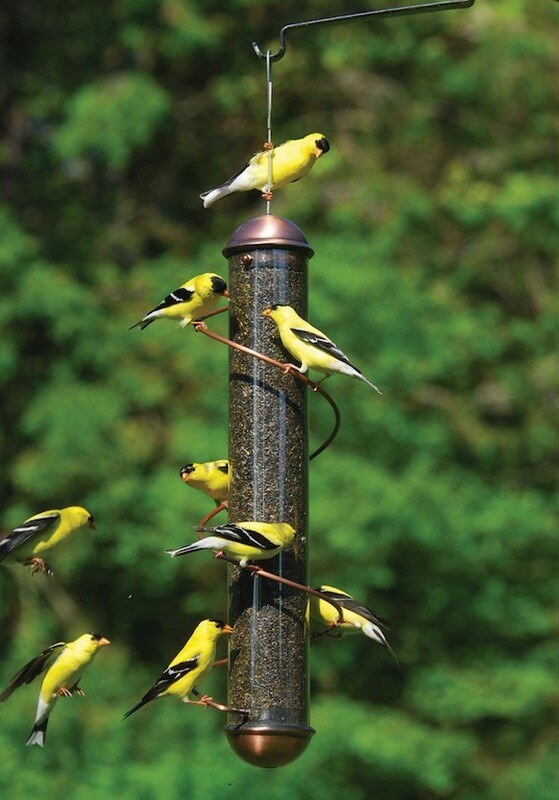 It’s not here yet, but due in December is a steel tube bird feeder by Birds Choice with claims to be bear resistant. Although we’ve not seen them in our own GA backyard, many folks (both on the outskirts and in residential neighborhoods) have posted videos and pics of bears destroying their bird feeders… big time too! Whole feeding stations are decimated, and it’s highly unlikely you’ll command said bear to cease and desist either. Worse part is that it becomes habitual for them. We’ve seen large raccoons grabbing hold of hummingbird feeders with both hands and guzzle like it was beer, but it doesn’t really compare to a bear in your yard. While this video is pretty fascinating to watch… it’s just not a good scenario in the bigger picture. 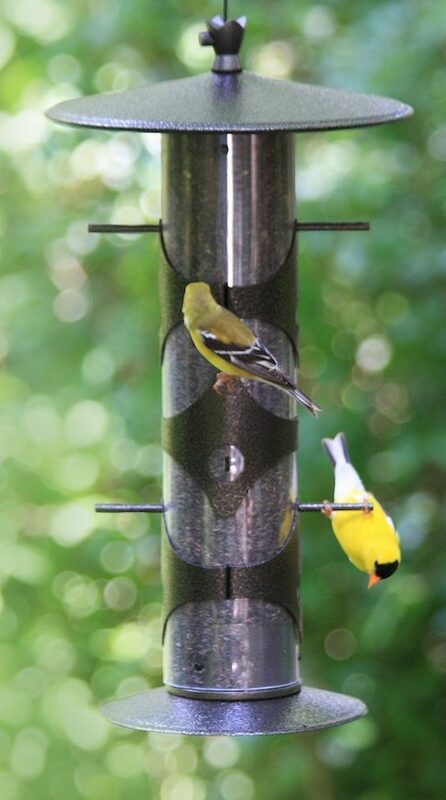 So back to the steel tube feeder: It features 5 small windows on each side to monitor seed levels and 6 perches that look large enough for cardinals’ comfort. Powder-coated steel tube holds 3.5 quarts, top removes for filling with removable bottom for clean-out. Overall measurements are 25.5″ tall x 8″ diameter, with a hefty weight of 9 lbs. 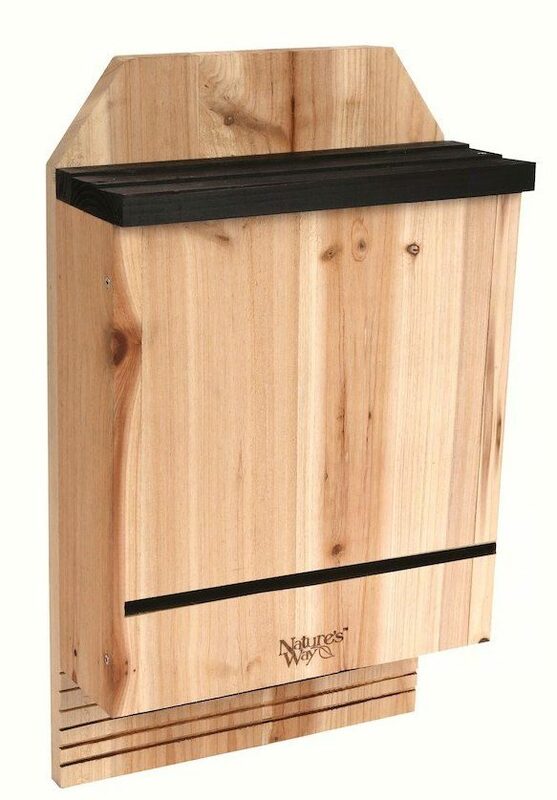 After viewing some of these bear vs. bird feeder videos, you might need to hang this one high, or secure it (really well) to something so the bear doesn’t walk off with it!